'coffeeandthreadtour' code and the giveaway is open. Shop here and enter the giveaway here. First up is Mie of Sewing Like Mad. Mie was the very first blogger I connected years ago and we became good friends over the years. It's almost strange that we never met in real life, I feel like I know her so well. I have great respect for Mie who is a pro in the field. She used to own her own brand in Denmark! How cool is that! I love how down to Earth she is, always willing to answer questions and help. I could have not created patterns without her! I am forever grateful for all the help and technical nuances she helped me address. And of course, I am thrilled to have her on the tour. 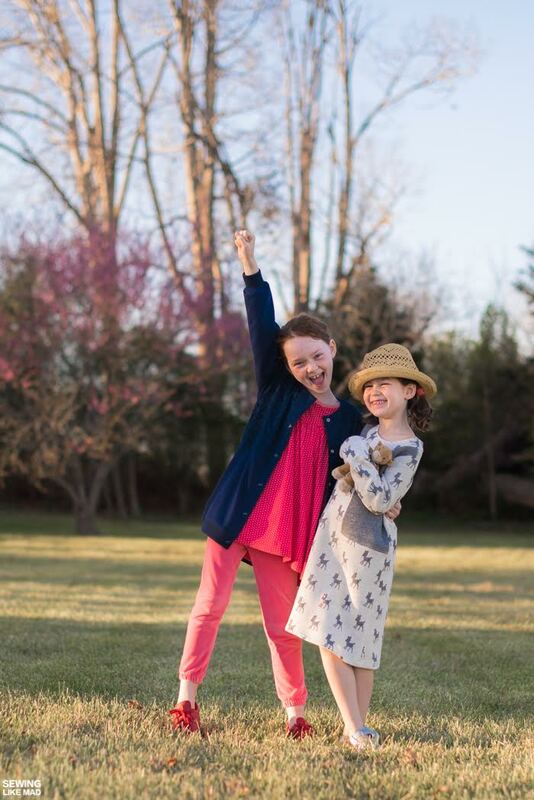 Check out all the things she made on her blog. Amazing! I have followed Jane of Buzzmils for a long time. She seems like such a genuinely happy upbeat person! I always love the clothes she makes, fun and practical! 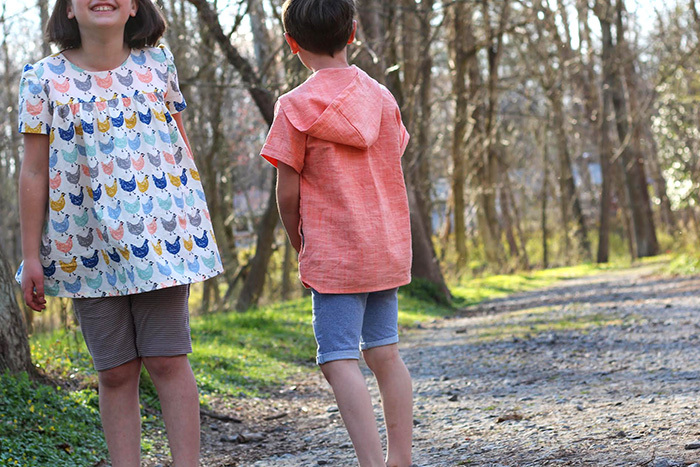 Love the tunics she made and Wild & Free pants as shorts, perfection! Check out her blog for more details. Audrey of Skirt Fixation is such a tease! I want to see more! The two outfits she made look amazing! Audrey always makes the coolest things, often upcycling. She is a mom of a few cute kiddos, including a new born baby! I am amazed by what she manages to accomplish. She is also a pattern maker, her women's skirt was released not long ago. Go to her blog to see more. 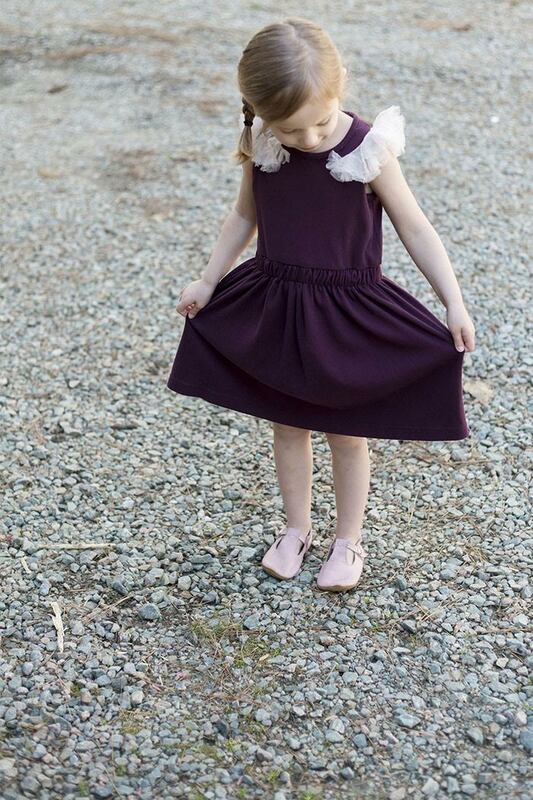 I am in love with this version of the Polina dress by Holli of Hello Holli. She has such great taste and makes awesome things! She is also a pattern maker. I really love her Blue Ridge dress and need to make it as soon as possible. If only there were more hours in the day. Go to her blog to read more. Thank you so much for having me Olga!! 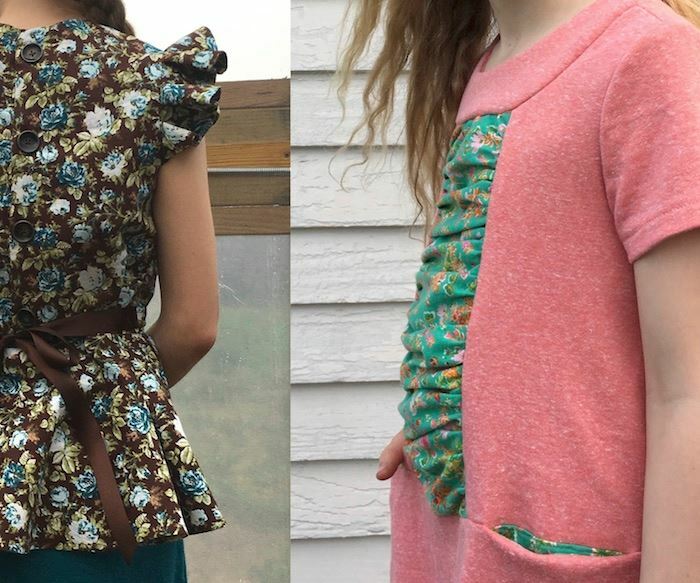 I feel lucky to have such amazing online sewing friends. We are in love with the Polina dress!